Difficulty: Easy to Moderate (Day 2 trekking only). Optional caving requires good footware. Connectivity: Wifi - limited, Mobile coverage - good. Meet with your guide and depart from Sapa by private car. Drive up past the Silver Waterfall, through the forests of the Hoang Lien Son National park to Heaven's Gate and Tram Ton Pass (the highest road in Vietnam). 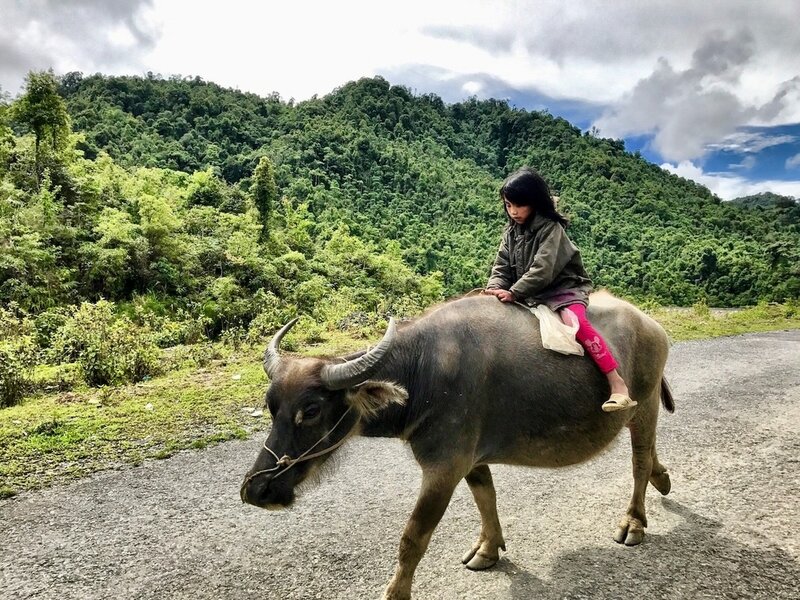 As we drop down into Lai Chau Province, we will leave the tourists behind and travel through a number of villages home to the Black Hmong and Tay ethnic minority groups. These areas have beautiful rice terraces and spectacular mountain scenery. We can stop for refreshments and to pick up food in Tam Duong Market before stopping for lunch with a White Thai ethnic family in Ban Bo area. After lunch, we will continue through beautiful green tea plantations towards Lai Chau City and onwards towards our destination via winding mountain passes and many small tribal villages. If the weather is clear, expect to see epic limestone mountains stretch out in every direction, many are lined with ancient forests. Valleys are planted with corn, rice and cassava. Total travel time is approximately 4 hours excluding breaks and stop offs. Sin Ho plateau is considered the roof of Lai Chau province. The climate here is similar to that of Sa Pa in Lao Cai province and is cool all year when compared to the lowlands. The weather is favorable for growing flowers, pears, peaches, and plums. This is a day to explore the surrounding area and spend time with local people. Trek to a local Red Hmong home for a traditional family lunch. Begin the day by visited the small but vibrant weekend market. The market is located in town centre and is at its best between 8 to 11 am, although it is open until later. The market, which meets only at the weekend, is not just a trading spot but also a meeting place for all the ethnic minorities where they show off their colourful clothes and make dates to meet friends and lovers. Once finished at the market, we will begin our journey back to Lai Chau stopping at the spectacular Putaleng Cave system. This undoubtedly one of Northwest Vietnam's best kept secrets. As you ascend up and through a heaven cave, and its wondrous 6000m2 cavern, nothing can prepare you for the blast of tropical heat and rich aroma of a lush cauldron of rainforest. Home to an array of flora and fauna, look out for giant land snails and soak in the bird song. The second cave in the system is called Paradise Cave and involves a precarious decent into a mysterious underworld. Crystal clear pools fill the voids between a richly textured cave floor. The third cave in the system is called Water Cave and access is restricted to those with specialist equipment and caving expertise. After visiting the caves, we can stop off for a brief lunch in the sleepy city of Lai Chau before selecting from a number of activities in the afternoon. If the weather is suitable, we could climb to see the Thac Tinh Waterfall, or perhaps visit a second cave system that follows an underground stream. We will aim to be back in Sapa before dark. 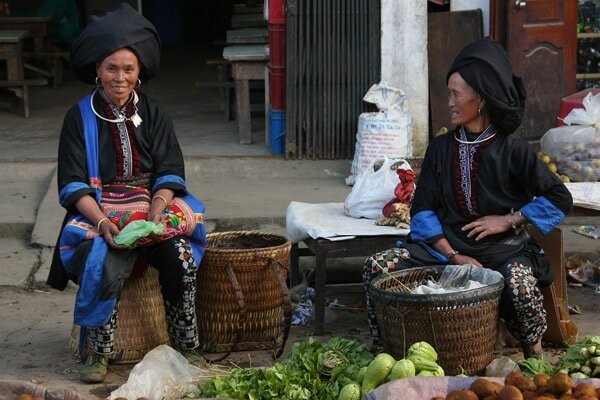 Whilst Sapa is a famous mountain retreat, enormously popular with Vietnamese and foreign tourists. Sin Ho, on the other hand, is hardly ever visited by travellers. As a results, hotel accommodation is comfortable, but quite basic. Rooms are en suite with reasonable sized beds, firm mattresses and mosquito nets. Food options are limited but fresh local ingredients ensures that quality is high. Expect rice and noodle based meals for the duration of the trip. Sin Ho also has a small bakery of this is more to your taste.